The driver was on time, kind and informative. The places were great and picturesque. The whole experience was worth it. Will definitely recommend. Thanks to its rich Hindu heritage, Bali is blessed with architecturally beautiful pura (or Balinese Hindu temples). Take a half day tour of the island's must-see temples and sunsets. 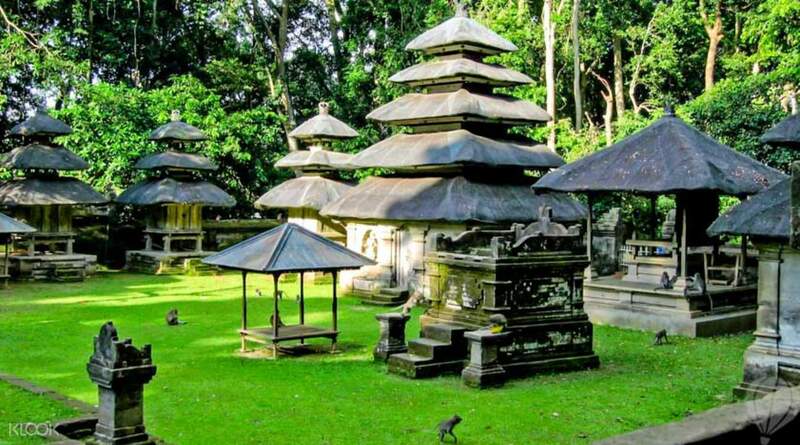 Visit the magnificent 17th century royal family temple of Taman Ayun. Its name refers to the beautiful water garden surrounding the holy site. To get there, go through Alas Kedaton Temple and Forest, where you will meet monkeys and flying foxes. 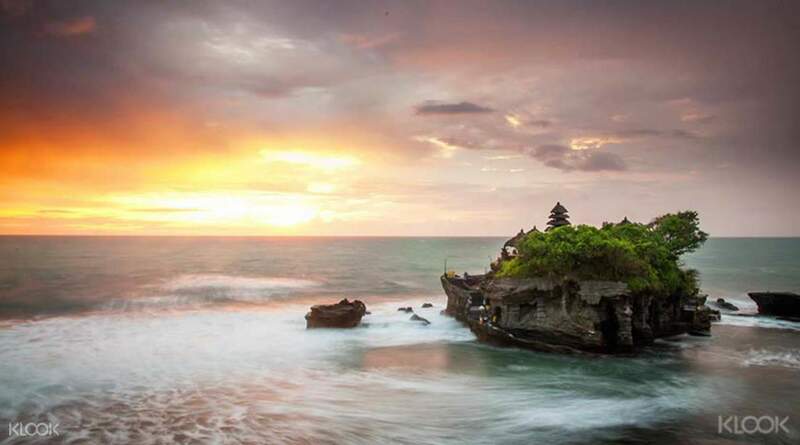 Finally, cap off the tour by gazing at the magnificent orange sunset behind Tanah Lot, a sacred Hindu shrine built on a rocky outcrop and surrounded by the shimmering ocean. 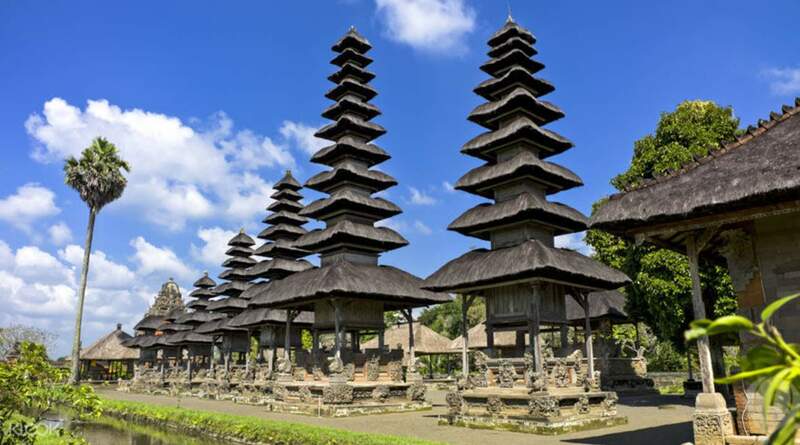 Explore the temples, learn more about Bali's history, and enjoy the breathtaking views. Booked this tour since I just want to have a half day tour. Definitely worth it! Our guide was Ketut & he's very calm from the start to the end. He came early to pick us up from the hotel & car of course cosy & clean. The journey from our hotel in Kuta heading to the 1st spot which is Taman Ayun Temple. Then to the Sacred Monkey Forest, which not the highlight in here. Just be firm if you don't want to purchase anything from the guide who lead you from the beginning of the tour in the Monkey Forest. Tanah Lot definitely is the best! The local seller selling the cotton candies & sweetcorn are all smiley even you werent going to buy anything. But pls buy from them! Try the corn kn sweet & spicy flavor, ohhh the best! Thank you so much Ketut from driving us from & back to the hotel safely. We reached hotel around 9pm as we're asking him to drop by for dinner. Enjoy your Tanah Lot Sunset Tour! & pray it won't be cloudy when you reached there. We couldn't see the sunset due to very cloudy skies. But we get to enjoy locals with their offerings there as we came during the big prayer where people from all over Bali come to pray here. Booked this tour since I just want to have a half day tour. Definitely worth it! Our guide was Ketut & he's very calm from the start to the end. He came early to pick us up from the hotel & car of course cosy & clean. The journey from our hotel in Kuta heading to the 1st spot which is Taman Ayun Temple. Then to the Sacred Monkey Forest, which not the highlight in here. Just be firm if you don't want to purchase anything from the guide who lead you from the beginning of the tour in the Monkey Forest. Tanah Lot definitely is the best! The local seller selling the cotton candies & sweetcorn are all smiley even you werent going to buy anything. But pls buy from them! Try the corn kn sweet & spicy flavor, ohhh the best! Thank you so much Ketut from driving us from & back to the hotel safely. We reached hotel around 9pm as we're asking him to drop by for dinner. 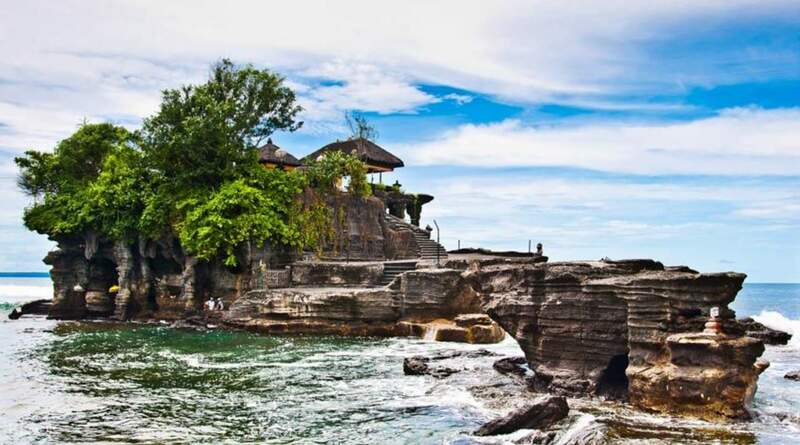 Enjoy your Tanah Lot Sunset Tour! & pray it won't be cloudy when you reached there. We couldn't see the sunset due to very cloudy skies. But we get to enjoy locals with their offerings there as we came during the big prayer where people from all over Bali come to pray here. 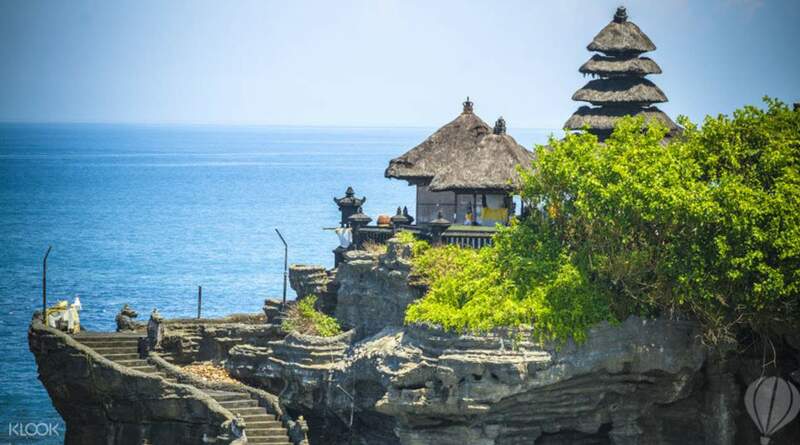 we chose this package as our first tour in Bali,and the tour guide Juni Ananta was so knowledgeable,warm,and kind.His introduction toward Bali culture and religion background helped us understand Bali in a quick and better way,we loved him so much!Today's destination is all very beautiful and impressing,can't wait to return Bali again! we chose this package as our first tour in Bali,and the tour guide Juni Ananta was so knowledgeable,warm,and kind.His introduction toward Bali culture and religion background helped us understand Bali in a quick and better way,we loved him so much!Today's destination is all very beautiful and impressing,can't wait to return Bali again! Mr Ekosubowo was our driver, he is just amazing and co operative. He explained our questions very well. Took our pictures. People like him really makes good impression of Bali. Mr Ekosubowo was our driver, he is just amazing and co operative. He explained our questions very well. Took our pictures. People like him really makes good impression of Bali. Wonderful vacation with families and very convenient for booking with klook. and affordable price too. and very pleased with pick up and drop off too. Mr .salis is very helpful person. Thank you klook. Wonderful vacation with families and very convenient for booking with klook. and affordable price too. and very pleased with pick up and drop off too. Mr .salis is very helpful person. Thank you klook. The driver was on time, kind and informative. The places were great and picturesque. The whole experience was worth it. Will definitely recommend. The driver was on time, kind and informative. The places were great and picturesque. The whole experience was worth it. Will definitely recommend. very good day. driver and guide were both very good and very fun. We had a whole bus to ourselves. coke our guide was very lovely and informative. very good day. driver and guide were both very good and very fun. We had a whole bus to ourselves. coke our guide was very lovely and informative. Our Klook driver Wayan was very accommodating and helpful! We are a group of 12 people and we will definitely do this again! Our Klook driver Wayan was very accommodating and helpful! We are a group of 12 people and we will definitely do this again! Our driver was friendly and accommodating! He's very good with places too...we felt like we have a tour guide at the same time. Our driver was friendly and accommodating! He's very good with places too...we felt like we have a tour guide at the same time.